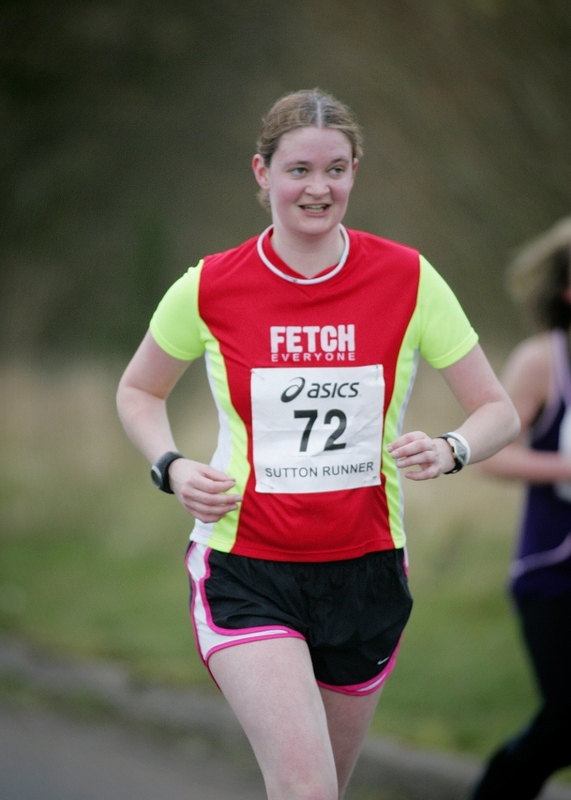 In previous blog posts I’ve shared a selection of my not so flattering race photos. Today, as the final post of my ‘Throwback Thursday’ series of blog posts, I’m sharing some of my favourite race photos and medals. 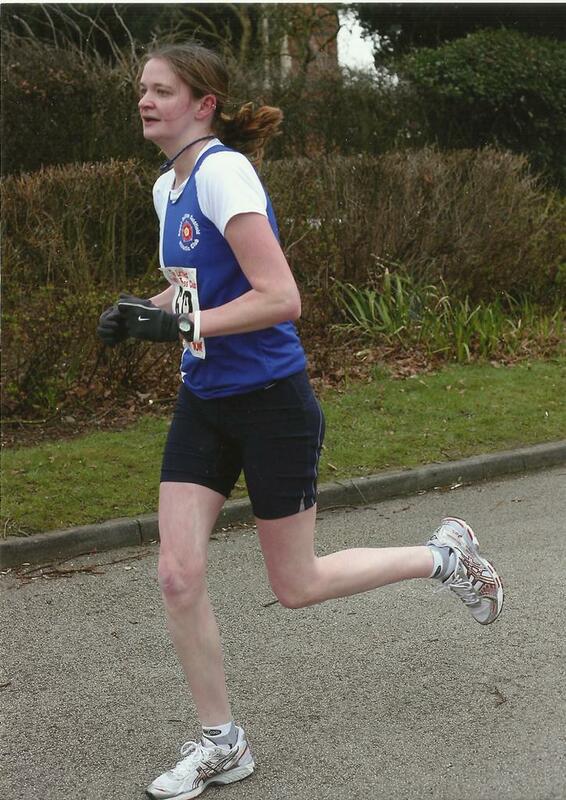 The first two photos were taken almost 10 years ago during the Fradley 10k. The Fradley 10k is well-known for being flat and very, very fast. If you are located in the West Midlands and want a personal best, head to Fradley! Back in 2006 the race took place during a cold, windy and gloomy March morning. As I very rarely wear gloves and a t-shirt, it must have been cold! As an added bonus it started to snow during the second lap of the race! This may explain why I was squinting and not actually looking where I was going. I think the spectator in the background had the right idea. 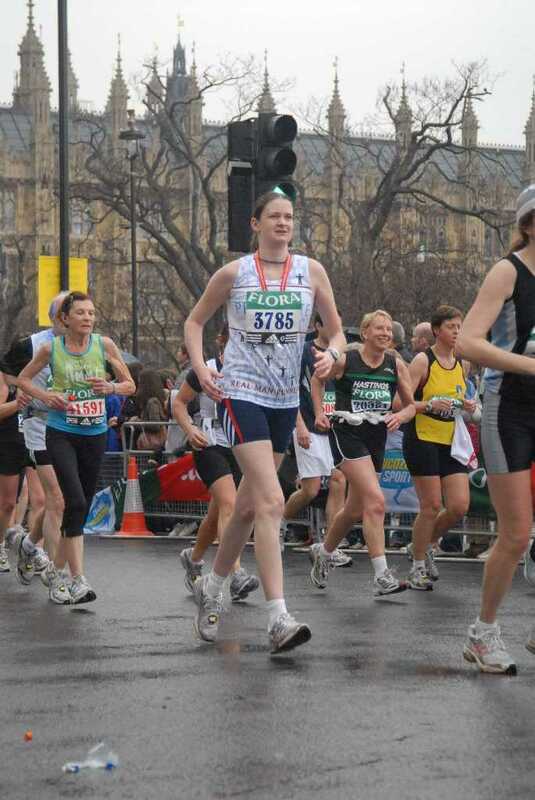 A month later I completed my first London Marathon. I remember it was a cold and wet morning. I love this photo because I actually look like I’m running and enjoying my first marathon experience (the camera can and does lie). I also love how everyone in the photo is wearing white trainers. Brightly coloured trainers clearly didn’t exist back in 2006. 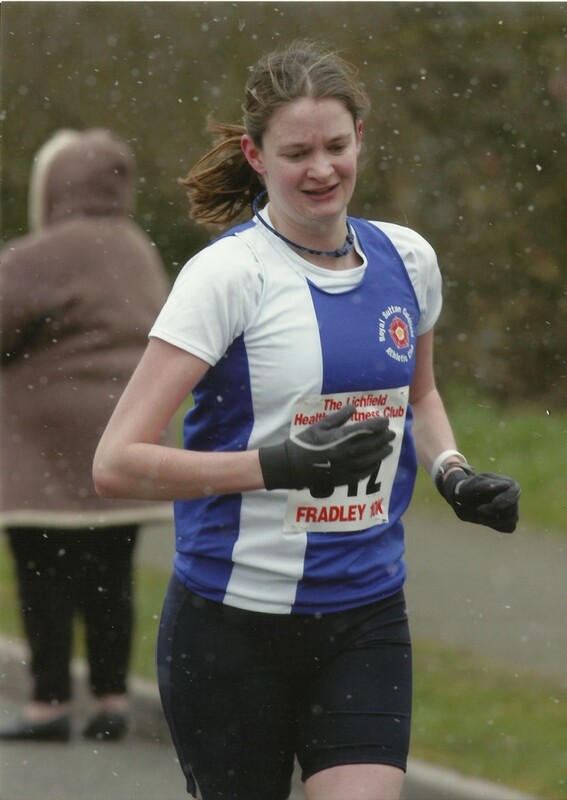 Fast forward three years to 2009 and I’m running in the Fradley 10k again. I love this photo because for once I look focused and strong. I’m not sure why I was wearing two running watches? The final race photo I’ve selected is slightly more recent and was taken towards the end of the Bupa London 10,000 in 2012. Just looking at the final race photo reminds me of the heat that morning. There was very little shade. I’m not very good at running in the heat and I was struggling. Underneath my cap I’m doing an awesome ‘Larry the Lobster’ impression. 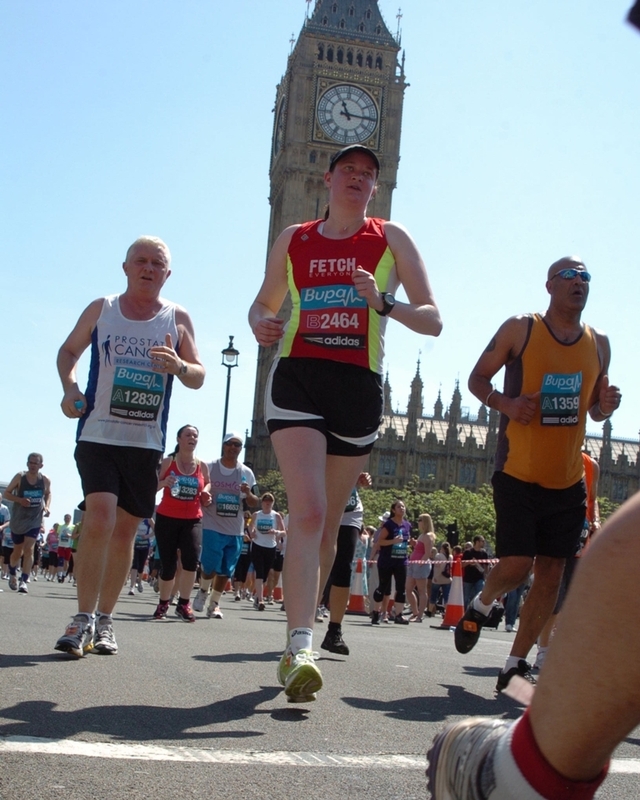 I love the photo because of Big Ben (bonus marks for a famous London landmark) and the look of determination on my face. How I didn’t spot the photographer positioned on the ground remains a mystery. I’m the proud owner of 113 medals (yes I’m sad and I counted them). Selecting my three favourite medals was a lot easier than I thought it would be. 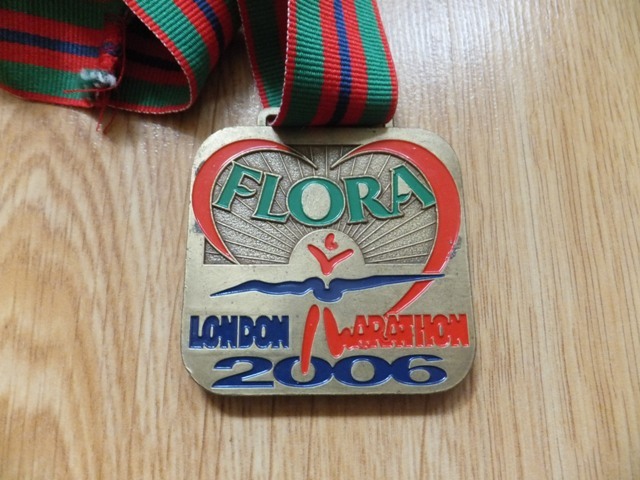 In first place is the medal I received for completing my first marathon, the 2006 London Marathon. It was cold, wet and miserable. I picked up an injury, hobbled home from the 20 mile mark, and didn’t get the time I was aiming for. However, I still love this medal and all of the winter training miles and tears it represents. 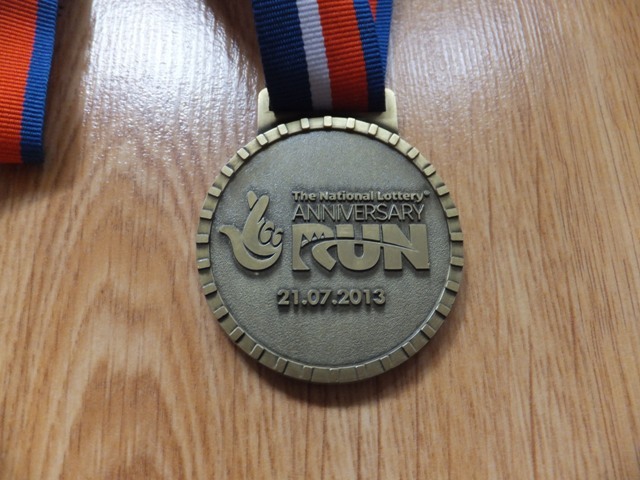 In second place is the medal I received for jogging around a building site during the 2013 National Lottery Anniversary Run. Although the medal itself isn’t very inspiring, getting to run inside the Olympic stadium and on the same track as Jessica Ennis-Hill et al was an experience I’ll never forget. Finally, in third place is the slate coaster (okay strictly speaking not a medal!!) 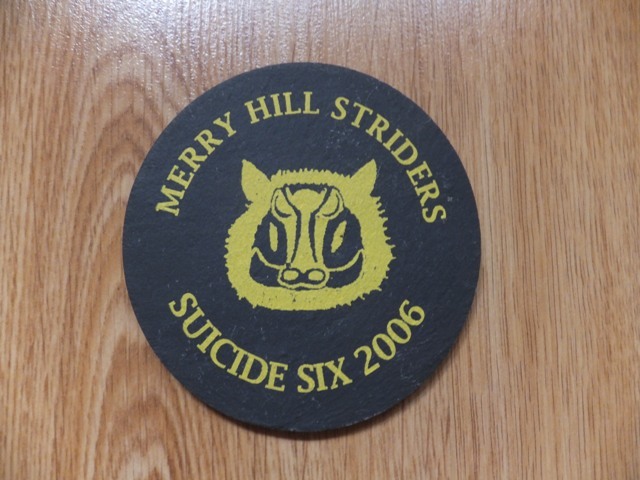 I received for completing the 2006 Suicide Six. Six miles of mud, hills, trails and a stream crossing with dozens of photographers waiting for people to fall in. My idea of a perfect race! If you live in the West Midlands put the Suicide Six in your race diary! Now I need to find a better way of displaying my collection of medals. At the moment they are stored in a plastic box. Sorry medals. So many medals, so much neglect! Does anyone have any recommendations for a medal holder/rack that is strong enough to hold more than100 medals!? Do you have favourite race photos and medals? Would you enter a race knowing that there wouldn’t be a medal waiting for you at the finish? Are races getting too expensive? My medals are all in a Tupperware container, so I have no recommendations, sorry! And if the race was good, i’d run without the bling. I honestly don’t know what to do with the “bling” anyway. I liked reading about your runs and medals! Tupperware containers seem to be the way forward! To be honest I’ve reached the stage of not feeling too fussed if I don’t get given a medal at the end of an event. Like you, I’ve got so many medals and other race related bling, I don’t know what to do with it all. I’ve done both races with and without medals – I have to admit that I do like a medal though 🙂 But I’m a relative beginner so don’t have many yet! 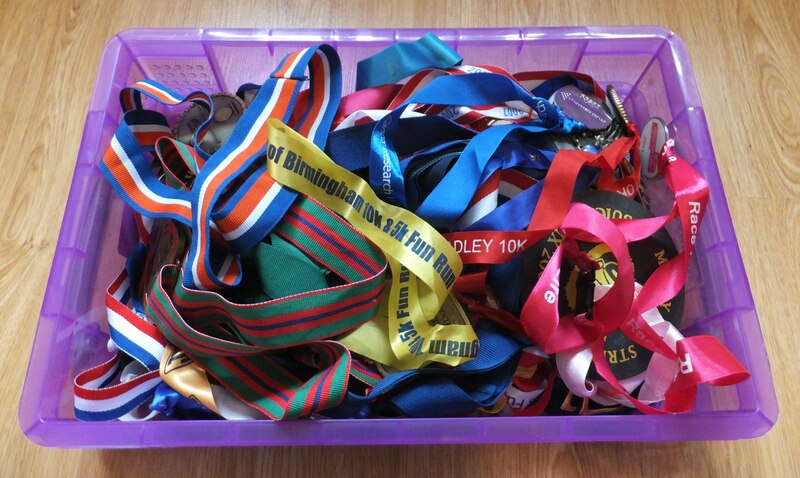 When I first started running I was obsessed with collecting medals. Unfortunately, back in 2003/2004 the medals generally weren’t very inspiring. Although I’ve reached the stage of preferring something useful like a technical running t-shirt, I will enter races if the medal looks awesome.